Great knights of medieval times were reared and trained from a young age. A young boy’s early life was dictated by this ambition. Years of training and careful upbringing contributed to the prestigious accomplishment of becoming a knight, and potential candidates for knighthood were expected to display certain qualities (Prestwich, 13). Initially, the qualities of knighthood would manifest and then be fostered through play and activities. As the boy grows, he will subsequently become a page and then a squire if he displays and develops the right skills and qualities (“Knights, Squires and Pages”). Similar to modern day children, activities and entertainment during medieval times was primarily a small scale replication of adult life. Model toys imitating common objects used by adults have been traced back as early as the 1300’s (“The Culture of Children in Medieval England”; Orme, 53). 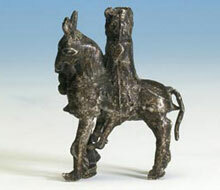 Similar to toy soldiers of today, fragments have been discovered “portraying knights in armour on horseback” (“Culture…”; Orme, 53). Play also became a form of military training in itself. “The liking of children to imitate adults in their play is very ancient, if not natural to humanity” (“Culture…”; Orme 63). Children during medieval times modeled their play after kings and knights, but this had the potential to turn into a “mimicry of their wars and battles” and children were often hurt, or even killed in these mock military engagements (“Culture…”; Orme 63-64). Often young noble children were given small scale weapons to practice with. Young Henry V is said to have had a sword at the age of nine (Prestwich, 20). Research also indicates that a royal statute in 1512 required that “every man with boys in his house, aged from seven to seventeen, was to provide them with a bow and two arrows and bring them up to shoot. Play became formally merged with military training” (“Culture…”; Orme, 63). This merger of military training and childhood activities played a significant role in a young boy’s potential for knighthood later in his life. Although a boy began his journey toward knighthood in his own home, but he could not be expected to acquire all the necessary skills and experience without specific guidance (Alchin). Around the age of seven many boys were sent to become pages where they were able to gain an education at the hands of a nobleman and his wife (Prestwich, 14). This education included: caring for and using military equipment, learning proper manners at court, learning to read and write, riding and handling horses, practice wielding lance and sword, and gaining the necessary physical strength and stamina to endure difficult training and future battles (Prestwich, 14-19). After years of being trained as a page—around the age of fifteen—a young prospective knight could become a squire (“Knights, Squires and Pages”). Each squire would continue his training in the service of a knight, and hopefully after acquiring and proving that he possessed all the necessary skills, the young squire would “receive the accolade of knighthood” (Prestwich, 21). Orme, Nicolas. “The Culture of Children in Medieval England.” Past & Present, 148. (1995): 48-88. JSTOR. PDF file. 2 April 2012. http://www.jstor.org/stable/651048. Prestwich, Michael. “Upbringing & Training.” Knight: The Medieval Warrior’s Unofficial Manual. London: Thames & Hudson, 2010. Print. “That you may know, what has been gained by this battle I prophesy that in five days you will be feasting as victor in the Capitol. Follow me; I will go in advance with the cavalry; they will know that you are come before they know that you are coming” (22.51). Livy records that Hannibal “told Maharbal that he commended his zeal, but he needed time to think out his plans” (22.51). To this Maharbal replied: “The gods have not given all their gifts to one man. You know how to win victory Hannibal, you do not how to use it” (22.51). One can only speculate his true motivation behind the decision not to march on Rome, but clues exist that help to illustrate a clearer picture of Hannibal’s judgment. One of the most fundamental, yet easily overlooked reasons behind Hannibal’s decision is his supply of food. 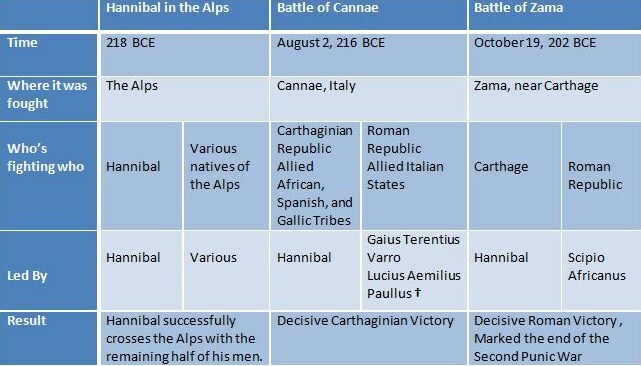 Prior to Cannae, Hannibal lacked the sustenance necessary to support an army. At this time he was not receiving any support from Carthage and his troops spent much of their time foraging across the Italian countryside (Shean, 185). 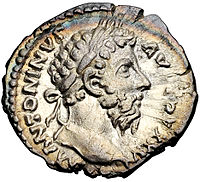 Hannibal’s strategy once in Italy focused largely on relying upon Rome’s resources (Lazenby, 43). Shean states that “logistical problems had dogged him throughout his early campaigns in Italy [and] the victory at Cannae brought no immediate relief to these problems” (185). It is not difficult to imagine why Hannibal chose not to drag an already battered, poorly provisioned and underfed army on a 250 mile march to attack a walled and fortified city. Even after a catastrophic defeat, the Romans still had an advantage of an “inexhaustible suppl[y] of provisions and of men” (Lazenby, 43). According to Shean, “Hannibal’s failure to move on Rome stemmed from the least glamorous and most mundane reason of all: no food” (185). Maharbal’s eager exclamation of Hannibal dining as a victor in Rome within five days is indeed a pretty sentiment, but would be logistically next to impossible. The distance Hannibal’s forces would be required to cover the between Cannae and Rome within five days would equate to a pace of fifty miles per day, as opposed to the usual pace of Hannibal’s army which hovered around nine (Lazenby, 41). After such a sprint across the Italian countryside, it is highly unlikely that his troops would be able to accomplish anything significant once they reached Rome—a city that was by no means left unfortified or lacking in able-bodied civilians (Lazenby, 41). 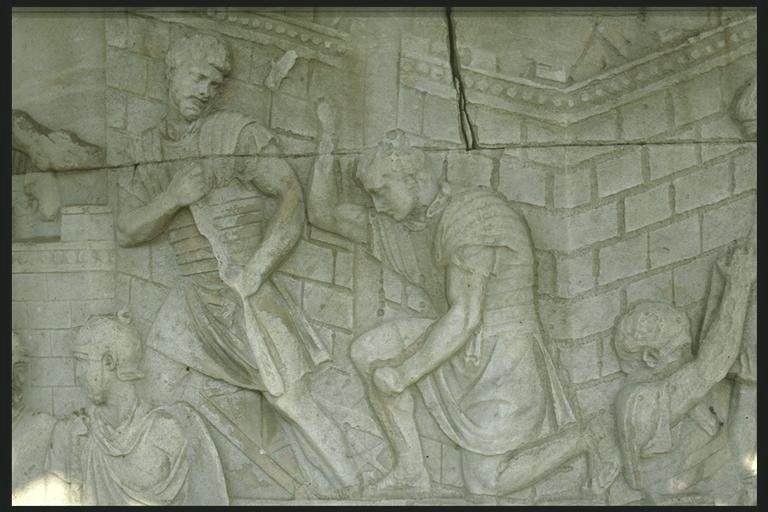 Hannibal would not only face many who would have already seen military service, but many armed slaves, and all who would rise to defend their country, honor, wives and children (Lazenby, 41; Polybius, par. 109). It is impossible to pinpoint a single motivation for Hannibal’s decision not to attack the capitol. Food, logistics and manpower may have all contributed to the objections against taking the city. 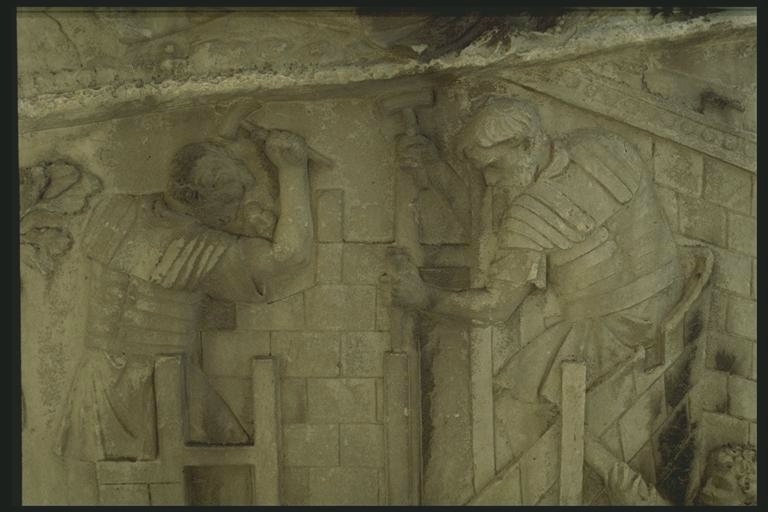 Hannibal may have recognized his disadvantage in the particular type of “trench warfare” that would have been required to take Rome (Lazenby, 41). 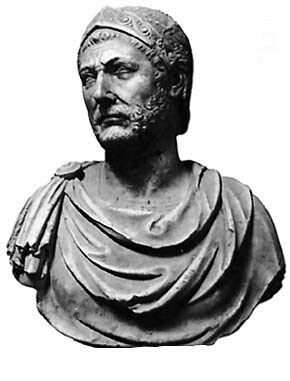 It is also a possibility that the victory at Cannae left Hannibal with the impression that the “war was already won” (Matyszac, 38). Whatever the reason behind the decision, “that day’s delay is believed to have saved the City and the empire [of Rome]” (Livy, 22.51). Livy. Livy’s History of Rome: The Disaster of Cannae. Book 22. University of Virginia Electronic Text Center. Web. 15 Feb 2012. Matyszac, Philip. The Enemies of Rome From Hannibal to Attila the Hun. London: Thames and Hudson, 2004. Print. Polybius. The Battle of Cannae, 216 BCE. Book III. Fordham University Ancient History Sourcebook. Web. 15 Feb 2012. Wikipedia contributors. “Hannibal.” Wikipedia, The Free Encyclopedia. Wikipedia, The Free Encyclopedia, 14 Feb. 2012. Web. 17 Feb. 2012. Looking at the Battle of Marathon from the Greek side, we see that strategically the Greek (particularly Athenian) motivation was to defend themselves against Persian invaders. It is believed that King Darius of Persia ordered his general, Mardonius, to pillage, burn and enslave Athens as punishment for their role in the feeding the Ionian Revolt which lasted from c. 499 to 493 BCE (“Greco-Persian Wars”). In the battle of Marathon, 10,000 Athenian citizen-soldiers confronted an overwhelmingly larger Persian force and miraculously emerged victorious. Even though fighting on home turf, the Greek force was still at a disadvantage. Terrain is a definite deciding factor in any battle as each group developed fighting tactics based on the nature of the country—therefore, if one group can entice their opponent into an engagement on favorable terrain, there is a decisive advantage given to one party while the other is fatally handicapped. While the Greeks may have had home court advantage, the flat battlefield and surrounding country was ideal for the Persian cavalry (“The Battle of Marathon, 490 BC). Greek victory may be partially attributed to the ineffectiveness or tardiness of the Persian cavalry. Herodotus recounts Athenian generals being divided in opinion whether to risk battle with the Persians because the Athenian forces were too few in number. 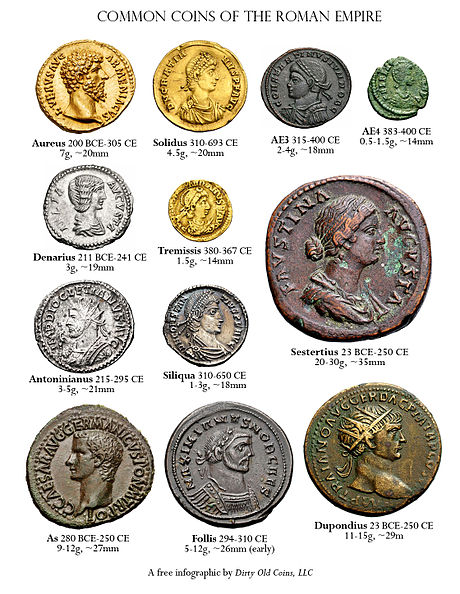 The ten generals cast a vote, with the deciding eleventh vote belonging to Callimachus of Aphindae. It is believed that Miltiades, a general in favor of battle, approached Callimachus in an attempt to persuade his vote toward engaging in battle. His argument for conflict was that the people of Athens were faced with one of two options: submit to slavery without engaging in conflict or fight to defend themselves with the hopes that with a just cause and the assistance of the gods they can overcome the enemy and leave a legacy for future generations (Koeller). When the vote was cast, the Athenian force prepared for battle. The small army succeeded in blocking the two exits to the plain of Marathon which brought about a stalemate. 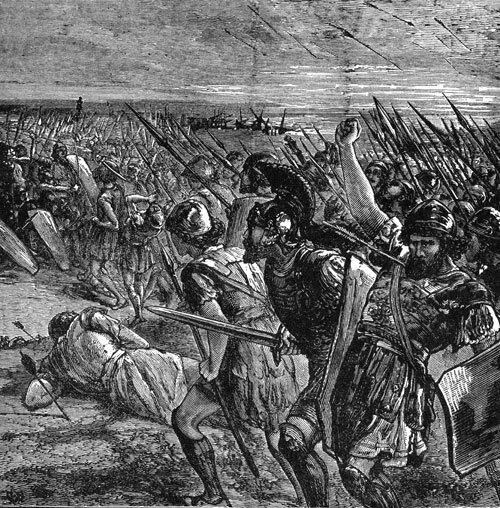 After waiting five days, the Athenians attacked the Persians (“The Battle of Marathon, 490 BC”). To the astonishment of the Persian army, what appeared to be a small handful of men charged across the plain of Marathon without archers or cavalry—apparently welcoming their own destruction (Koeller). Even outnumbered as they were, the Greek hoplites were much more effective against the Persian infantry (“The Battle of Marathon, 490 BC”). In defense of their lives, freedom and city, the Athenian army slew about six thousand four hundred barbarians, while only losing one hundred ninety two of their own (Koeller). The victory at Marathon was monumental to Greeks, so much so that after the death of Aeschylus (a famous Greek playwright who is considered the father of tragedy) his participation in the Battle of Marathon was held in higher esteem than his life as a successful playwright (West).